A few weeks ago I met Kelli from Lolly Jane (just one of my favorite blogs ever, eek!) at the Queen Bee Market in Oceanside and she convinced me to try BB Frosch chalk paint. 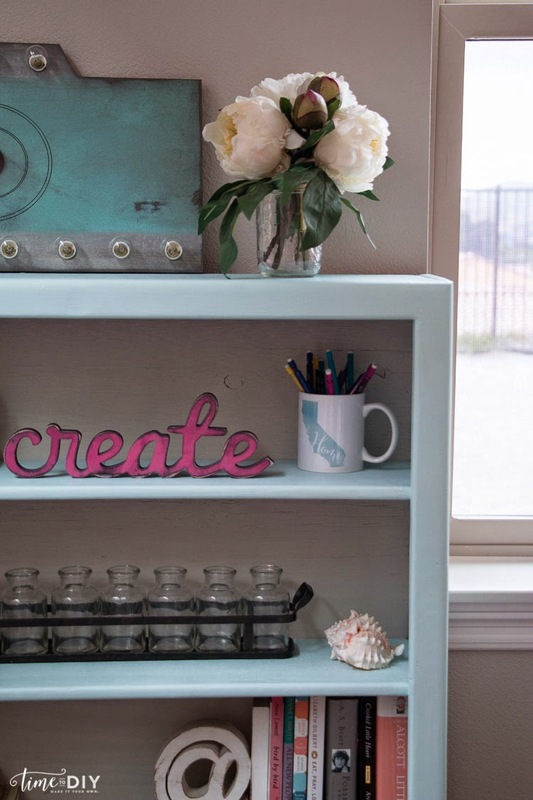 I’ve wanted to try chalk paint for awhile – I went to an Annie Sloan chalk paint class at The Little Black Chair a few months ago and fell in love with it. 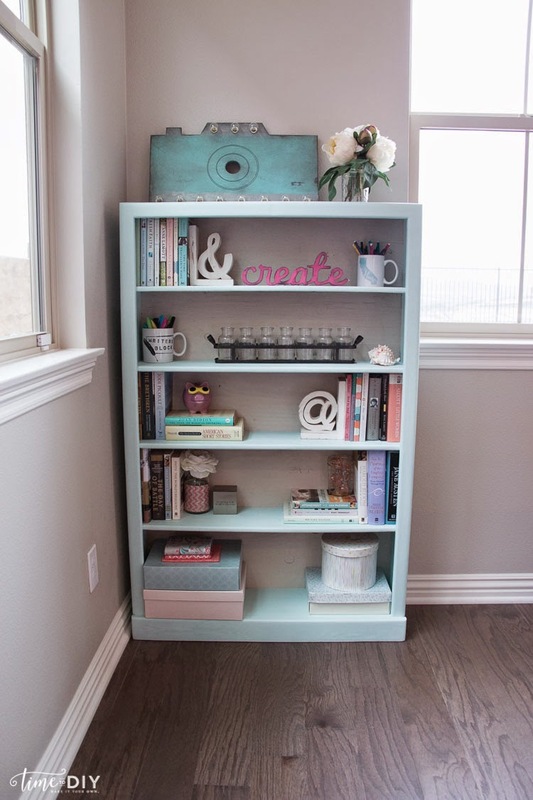 What I like about chalk paint is that you don’t have to do any prep work (no sanding, priming, nada) and you can paint on most any surface. It’s more forgiving than regular paint because it’s thicker so you do have to worry as much about weird brush strokes and drips. Also, a little goes a long way. And the best part: there are no fumes so you don’t have to haul your furniture to the garage or outside to paint. 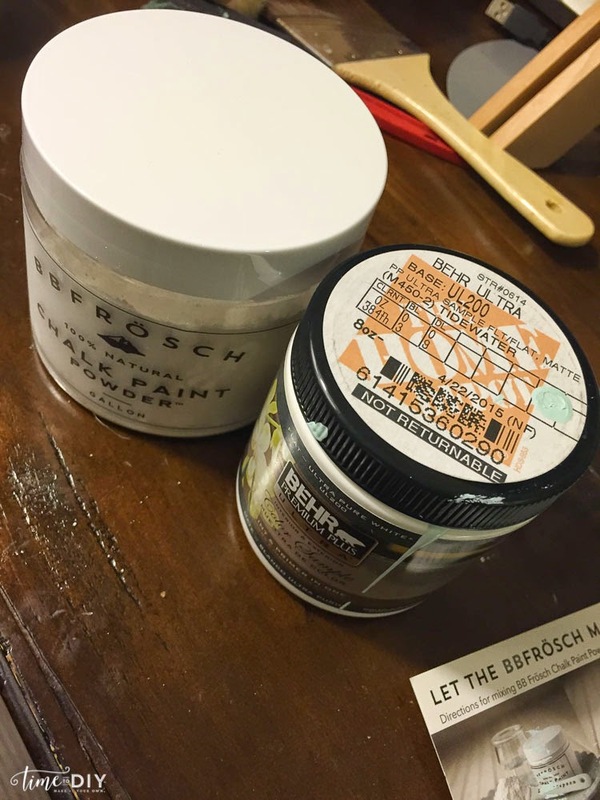 I’ve tried two products: Annie Sloan’s decorative chalk paint (already mixed and ready to go) and, for this project, BB Frosch chalk paint powder (you can mix it with any paint, flat finish is recommended). 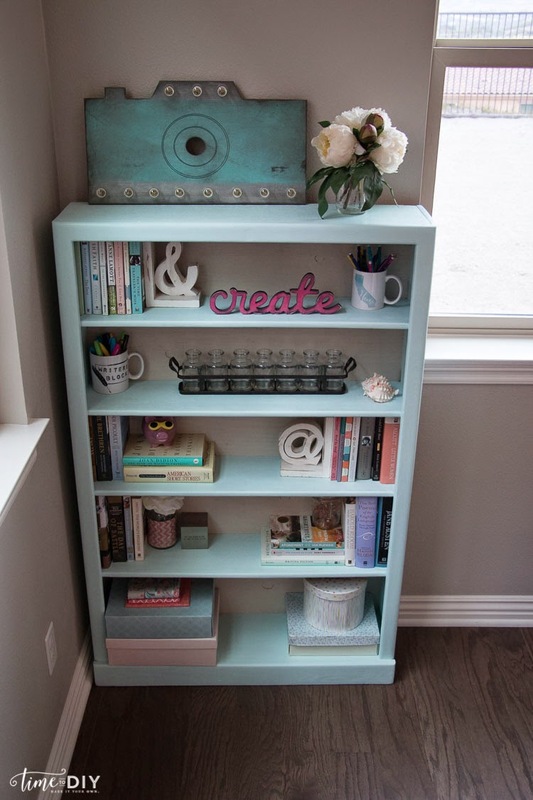 I was impressed by Annie Sloan’s product, but it is a little expensive and you’re limited to her color palette. Although she does have quite a few colors, I was bummed that a few that I wanted weren’t available. 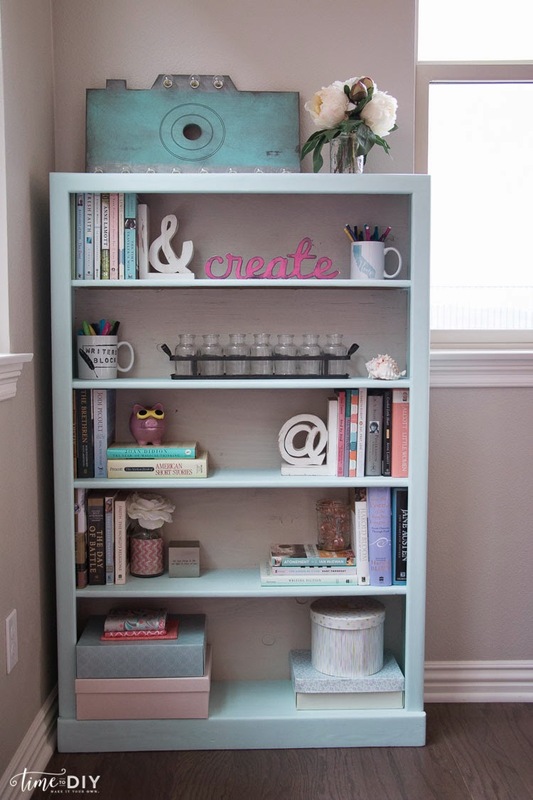 For this project I made a quick trip to Home Depot to get an 8 ounce container of Behr flat paint for $2.97 and then I mixed it with two tablespoons of the BB Frosch powder and one tablespoon of water. 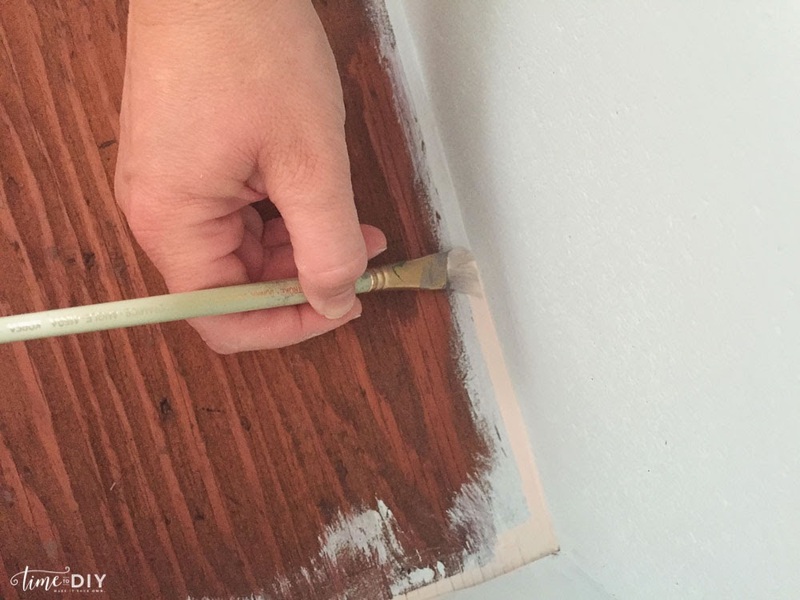 The paint did smell a tad (I’m a little sensitive when it comes to fumes) – I think because it was “low VOC” and not “no VOC”. It wasn’t terrible though, I just opened the windows and used a fan. My dad built this bookcase for me when I was in college and it’s been sitting in our garage as a shoe rack. Its new home is my craft/guest room, so it needed to be lightened up a bit since craft space needs to be light and bright, right?! 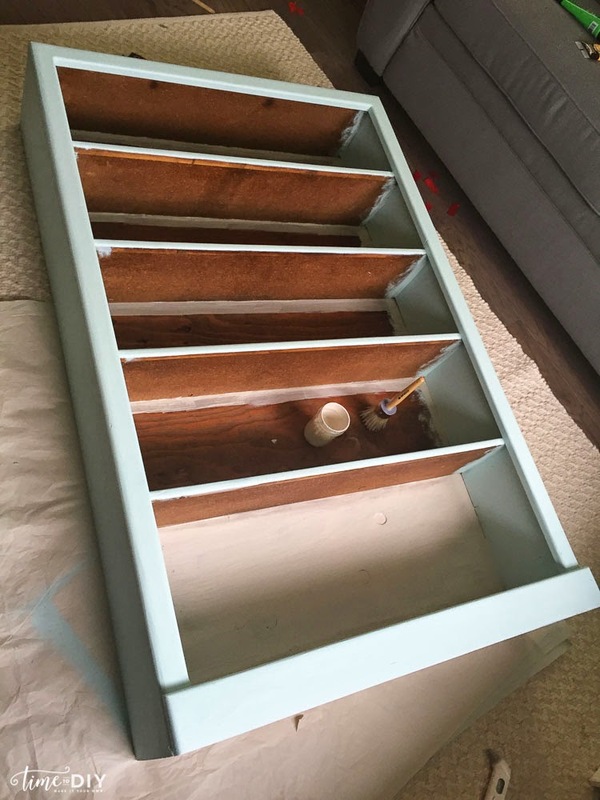 The chalk paint brush worked well for all except when I was cutting the edges on the back. I needed it to be a straight line so I used a smaller brush. 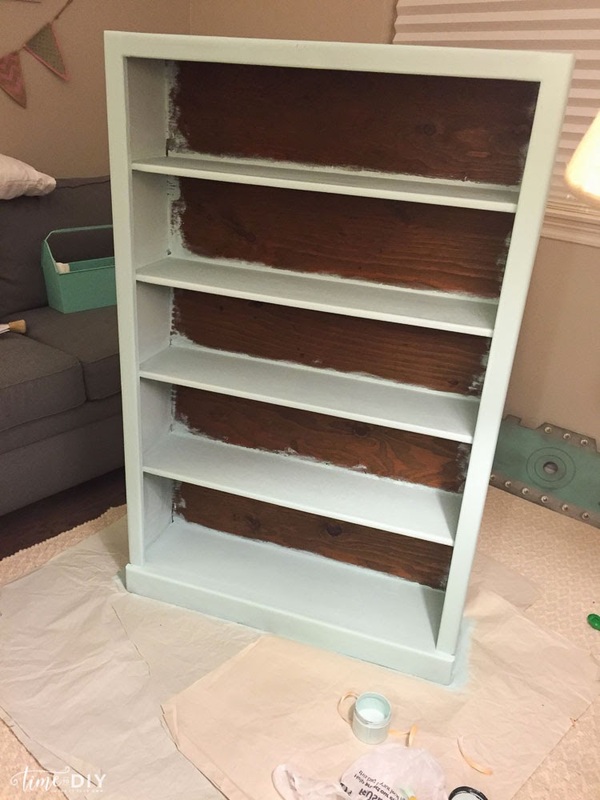 I used our house paint (a light gray) for the back and it didn’t seem to blend as well with the chalk paint, but that could have been because it was an eggshell and not a flat finish. I sealed it with one coat of BB Frosch clear wax. I did one coat on the front and sides and two coats on the shelves since those will be touched and used more. The wax smelled a little bit more than Annie Sloan’s wax, but I kept the room well ventilated. Again, it wasn’t terrible. 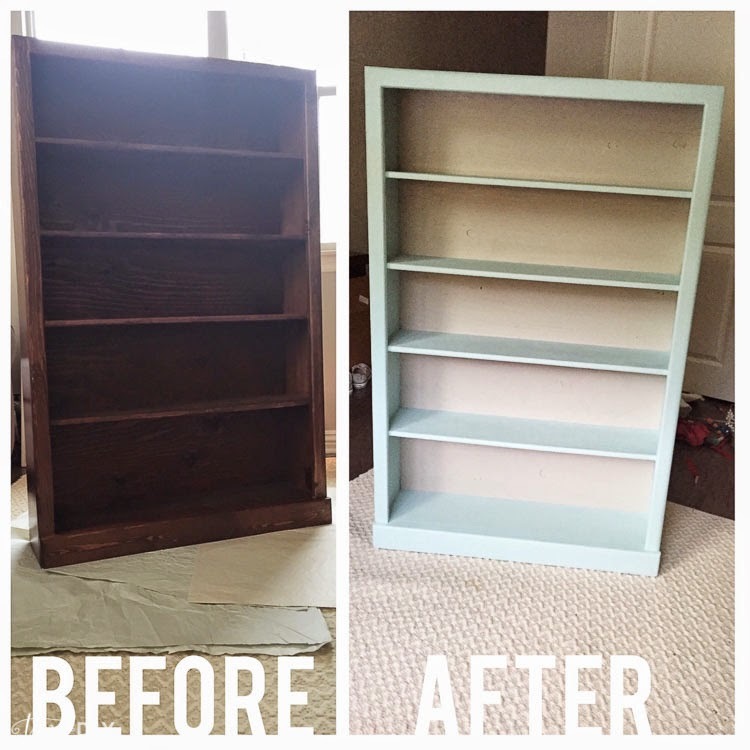 The 8 ounces was the perfect amount for the bookcase and I also painted a shelf and a frame as well. This is not its home, but I wanted to give it a quick style to see how it would look. It’s going to have to be a lot more functional and hold some more supplies in my craft room. Still getting things organized in that room, but I’m excited the bookcase is ready to go! Next up: My baby girl’s dresser. 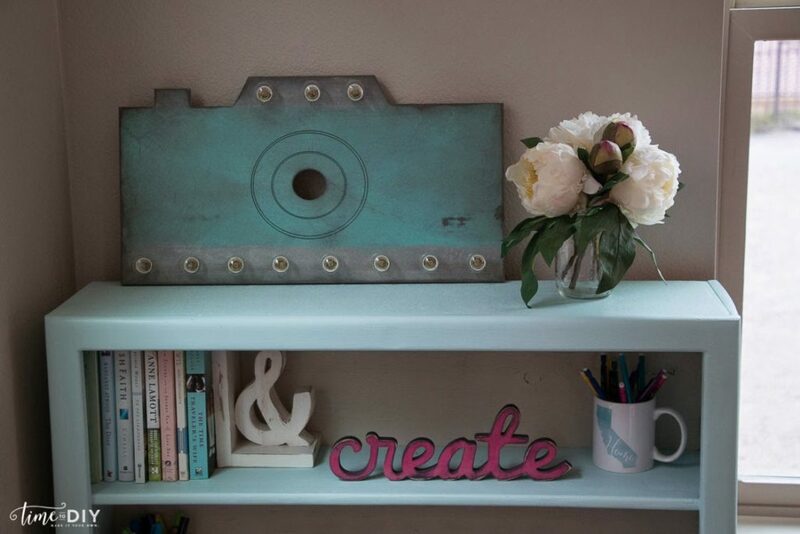 What have you painted with chalk paint lately? 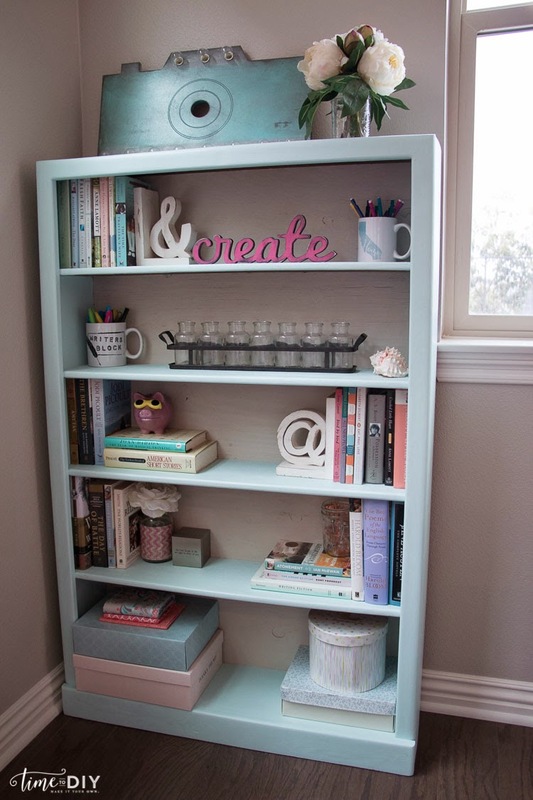 I need to do this when we move later this month!! Love the color! I love BB Frosch, I just recently became a BB Frosch Master so I can teach people how to use it, which is so exciting for me since I love it so much. 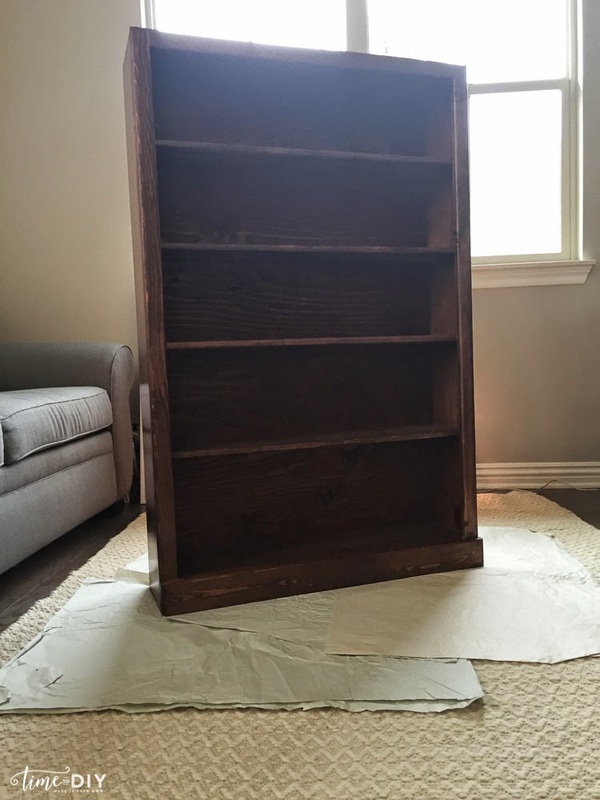 Your bookshelf looks great. I love the color. 🙂 It turned out great. Im glad you love the product. Thank you! I’m definitely having fun with it! And I love following your painting journeys as well!